21 floors of sweeping city, ocean and mountain views, custom floor plans tailored to your individual style, and quality design by renowned and trusted builder BOSA Properties – this is Promontory. 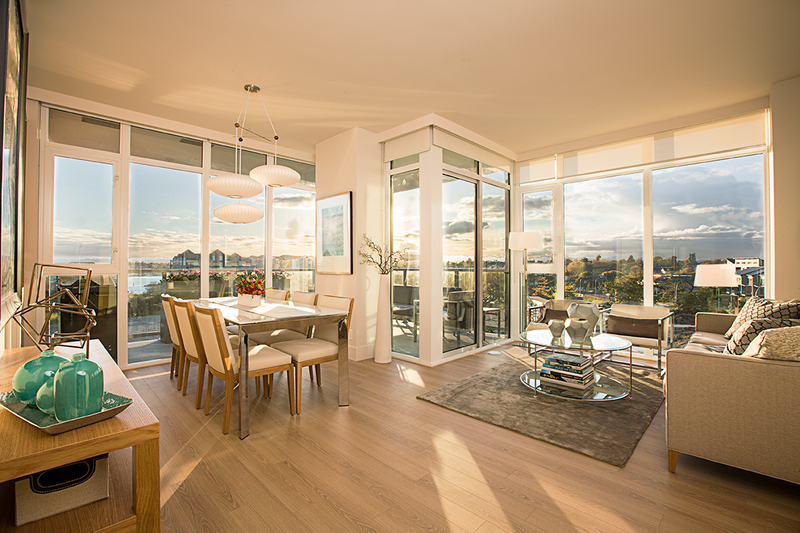 Situated on a high point in Vic West, overlooking Victoria’s Inner Harbour and just minutes from downtown, Promontory at Bayview Place is a new condominium development offering design options to meet almost any style and budget. Here, owners have a unique opportunity to review floor plans and combine suites for a more spacious home. Large windows and balconies, combined with stylish interior design features, top-quality finishings standard throughout every unit, premium brand appliances and a multitude of spacing options make the Promontory an affordable and contemporary lifestyle choice. Promontory, however, will offer residents much more than a stylish home in a stunning location; an entire waterfront community called Bayview Place is being planned for this 20-acre parcel of land. Once complete, Bayview Place will be home to a public market, new international hotel, thoughtfully designed high-rise towers, cafes, restaurants, green space and parks. This new neighbourhood community is sure to be a cherished home for residents, and a vibrant destination for visitors.